My apologies to my four loyal readers – I had been sick with congestion and some kind of weird lung infection for about a month; obviously, I’ve had to stay out of the water. 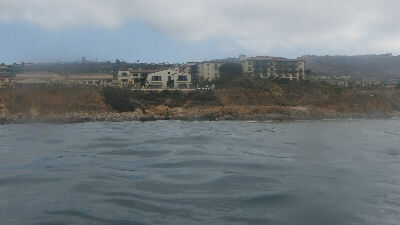 But, with my recovery and the first day of Summer, I had decided to get back in the water at Terranea with a barbecue afterwards. 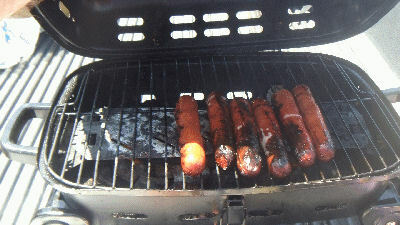 I posted on Divevets that I would be bringing the ghetto grill and some tube steaks – yeah, times are hard for me right now. 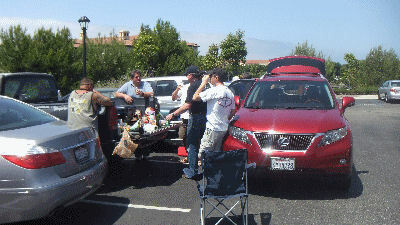 I pulled in to the public lot at Terranea Resort to find the lot packed with cars – I have never seen anything like it. 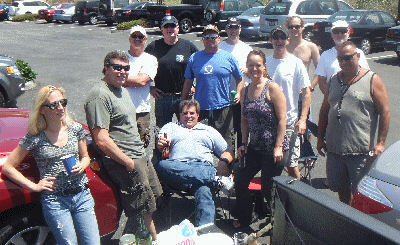 I was lucky enough to have scored a spot – other divers had to park on the street near the old public access lot. I geared up and started the walk to the Point with Mean Bob and the other Dennis. An ultralight aircraft buzzed by the coast on our way down to the shore. I don’t know what it is – I always get nervous when entering off the Point. There’s big boulders that you have to climb over and you have to time it right so you ride a swell out; any mistake means you could get beached on a rock, or slammed against the boulders by an incoming wave. 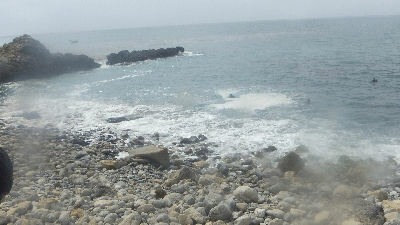 Luckily, the swells were gentile, and I entered without issues. 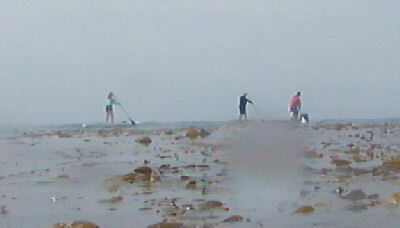 However, once I swam out, I was with Reverend Al and his group – Mean Bob was nowhere to be found. 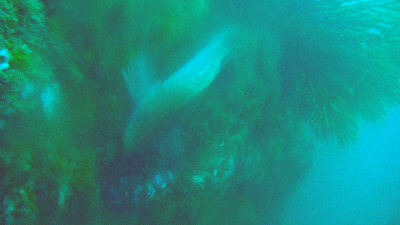 The kelp was leaning in the opposite direction of the Cove – our exit point. I told Al that I would follow his group, but I would leave early to fight the current back, and not to worry. 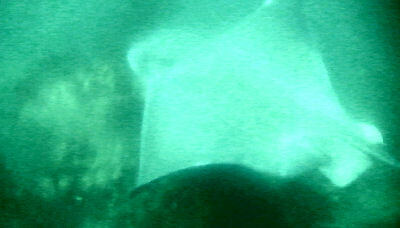 At 1500 psi I cut from the group and headed towards the Cove. 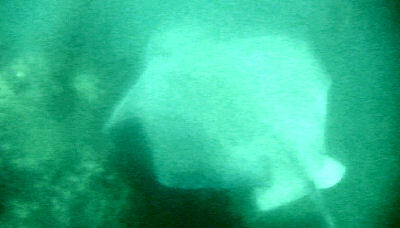 Either this Bat Ray made the rounds, or there were many in the water at the time, but over debriefing, most divers saw at least one Bat Ray. The light and visibility got better once I got shallower. 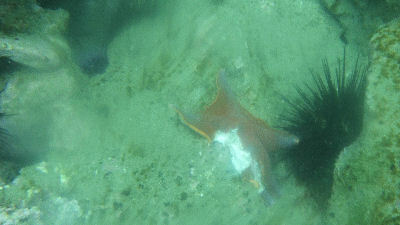 Something must have really been hungry to take a bite out of a Starfish! I surfaced at 500 psi, about 150 yards from my exit. I surface swam to the Cove. 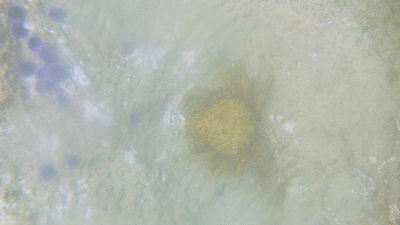 I passed over a Sheep Crab. 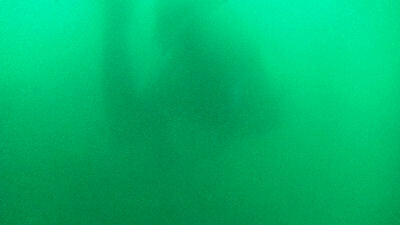 I made an easy exit to the watchful eyes of the Pacific Wilderness Dive Club. …and food starts showing up from all over the place. 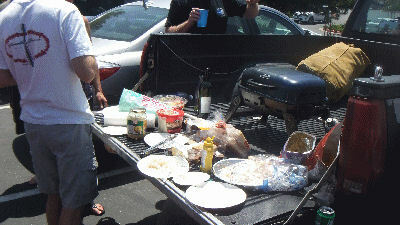 The buffet – Tube steaks, mustard, buns, potato chips, fruit salad, macaroni salad, pie and chocolate brownies. 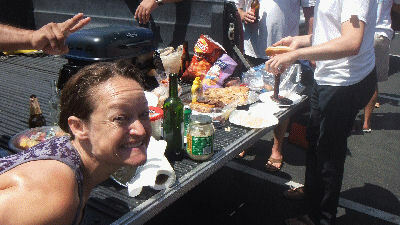 Nothing like burning 800 calories beach diving to consume 1000 calories at the debriefing! An excellent day back in the water – I am hoping this Summer will be full of diving! Looks like a fun dive! Dont you just love the warm shallow water we have now. I am thinking of tearing myself away from our usual night dives and going for a sun dive at Terrenea, perhaps we will run into you all again. 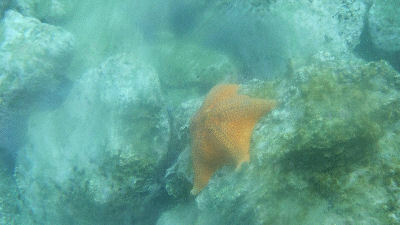 That is the Sea Star Wasting Syndrome. It’s been happening since last Summer.